This article has been divided into three parts. First part consists of all about “Karakamsha Lagna” and “Karkamsha Kundli” and how to cast a Karkamsha Kundli. Results of all the twelve signs rising in karkamsha lagna are supported by some examples. All the twelve Sutras depicted by Maharishi Jaimini have been dealt with. Second part of the article will deal with the results of various house from karakamsha lagna and planets posited there in. Third part will deal with various types of yogas, good or bad as the case may be, with reference to karakamsha chart. The word “Karakamsha” consists of two components viz. “Karaka” and “Amsha”. Here Karaka stands for Atmakaraka while Amsha is Navamansha. Hence the sign occupied by Atmakaraka planet in the Navamsha chart is termed as “Karakamsha Lagna” The word “Karakamsha” consists of two components viz. “Karaka” and “Amsha”. Here Karaka stands for Atmakaraka while Amsha is Navamansha. Hence the sign occupied by Atmakaraka planet in the Navamsha chart is termed as “Karakamsha Lagna” Of all the planets, says Maharishi Jaimini, the Atmakaraka (AK) is supreme and ultimate controller and creator of destiny. All the good or bad results indicated by remaining planets would be with reference to AK. Thus all the remaining planets are subservient to the Atmakaraka. To be more precise Atmakaraka is termed as king of kings amongst all the Karakas, hence remaining planets/karakas are dependant upon AK while disbursing their results. Karkamsha Chart •	A planet which is most advanced in degrees, amongst the seven planets from the Sun to Saturn is known as Atmakaraka. Here longitude of all the seven planets is taken into consideration without signs and up to seconds. •	Thus the sign occupied by the Atmakaraka in the Navamsha chart will become karkamsha lagna. •	The karkamsha chart is Navamsha chart with the only difference that the sign occupied by Atmakarak becomes the first house or Karakamsha lagna. 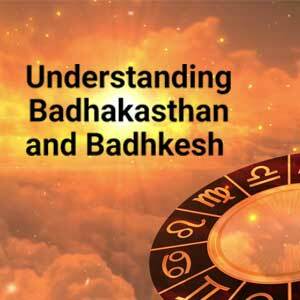 •	Some astrologers opine that the sign occupied by Atmakarak in Navamsha chart should be considered as Karakamsha lagna while rest of the planets should be posited as per their position in the natal chart(D1). •	Lots of confusion has been created between “Karakamsha' and “Swamsha”. But it may be noted that both the words have same meaning. 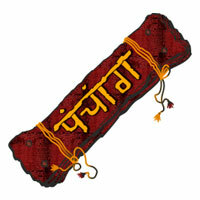 In Sanskrit the word “Swa” and “Atma” are synonymous. However to counter check some event Atmakaraka can be used in natal chart. •	Jaimini Sutram has described results of various planets according to their placement in Navamsha chart only with reference to Karakamsha lagna. The sign occupied by the Atmakaraka in Navamsha chart should be placed in first house and the rest of the planets should be posited in accordance with the signs in which those are placed in Navamsha chart and a “Karakamsha” chart is ready. Example: D.O.B :12/02/1972, T.O.B. : 22.14 P.O.B. : Gurdaspur (Punjab) Longitude:75E31’00, Lattitude: 32N 02' 00 AK-The Moon, AMK-The Sun, BK-Mercury, MK-Venus, PK-Mars, GK-Jupiter and DK-Saturn. 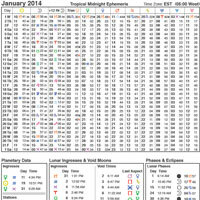 In the example Atmakarak is Moon and it is occupying sign Sagittarius in Navamsha chart. Hence sign Sagittarius will become Karakamsha lagna while rest of planets will occupy their respective sign as they are occupying in Navamsha chart. Karakamsha chart is as under: Now we shall deal with the results when various signs become Karakamsha Lagna. These results, sage Jaimini has mentioned in chapter 1 and Adhyaya 2 of Jaimini Sutram. 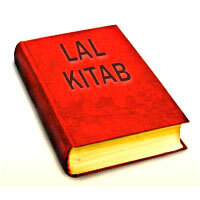 When sign Aries become Karakamsha Lagna, one will have fear from rats and cats etc. When sign Taurus becomes Karakamsha Lagna and it is under the aspect of malefic planet/planets only, one will have fear from quadrupeds. Here Neelkantha opines that a benefic influence on Taurus Karakamsha Lagna will give happiness and gains on account of quadrupeds. NOTE: Since sign Taurus and Libra are ruled by one of the best benefic viz. Venus, hence if these signs as Karakamsha Lagna are under the aspect of their lord ie. Venus or any other powerful benefic planet, one will be happy on account of quadrupeds. When sign Gemini becomes Karakamsha Lagna and is aspected or tenanted by benefic planet/planets, one may develop corpulence. In case it is under the influence of malefic planet/planets one may suffer from Eczema, Itches and other skin diseases. 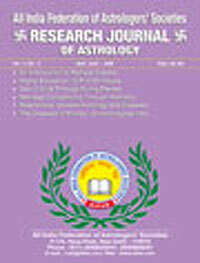 NOTE: Since sign Gemini is ruled by planet Mercury which is a natural significator of skin apart from other things, hence when Gemini becomes Karakamsha Lagna and is influenced by benefic planet/planets by aspect or placement one has a tendency towards corpulence (obesity) and if it is influenced by malefic planet/planets only, one will suffer from skin disorders. When sign Cancer becomes Karakamsha Lagna and is aspected or tenanted by watery planet/planets one may suffer on account of Dropsy. In case it is aspected or tenanted by malefic planet/planets only, native has a tendency to suffer from Leucoderma or Black Leprosy. When sign Leo becomes Karakamsha Lagna, one suffers from the disease caused by the dog-bite. At the same time sage by using word "cgqopua" means plural number of Karakamshas starting from Aries onward and define it as under: Here sage reminds of three remanants, of debts, fire and disease. Thus in case of these Karakamshas one may suffer on account of debts, disease and fire accidents. When Virgo becomes Karakamsha Lagna, one may predict results in accordance to Gemini Karakamsha Lagna, viz. corpulence and Itches etc. as per the influence of the planets. Here sage adds in case of multiple malefic planets conjoining here one has fear from fire accidents. When Libra becomes Karakamsha Lagna, the native is engaged in business activities or one is efficient at the business of sales and purchase. When Scorpio becomes Karakamsha Lagna, the sage suggests two types of predictions by using word "Poorvardhen" and "Parardhe" in the versa. Thus in case Atmakarak is between 0° to 15° in sign Scorpio Karakamsha, there is danger from water and in case Atmakaraka is between 15° to 30° in Scorpio Karkamsha, there is danger from snake etc. Sage has used word "Sarisripah Sarp" which means snakes. When Sagittarius sign becomes Karakamsha Lagna there is danger of falling from high places, fall from higher post to lower post and fall from a vehicle is indicated. When Capricorn becomes Karakamsha Lagna and is aspected or conjoined by watery planets viz. Venus and the Moon, one will have fear from Leeches and Crocodiles etc. In case it is aspected or conjoined by Saturn or Mercury there is danger from birds and evil spirits, and in case the aspect or conjunction is of more than two planets native may suffer from Fistula, Scrofula and Tumor etc. When Aquarius becomes Karakamsha Lagna and is aspected by or tenanted by malefic planets native may fall in a still water tank or a well. If it is being aspected by or tenanted by benefic planets native may install water tanks and wells for noble cause. When Pisces becomes Karakamsha Lagna the native is virtuous and attains final emancipation. If karkamsha lagna is further influenced by benefic planets by placement or aspect, the native is a rich man. A powerful Rajayoga generates in case benefic planets occupy Kendras to Krakamsha lagna, the native becomes a very high government official if karkamsha lagna is occupied by an exalted planet or its own lord. In case Karkamsha lagna is occupied by a benefic planet and at the same time another benefic be posited in a house prior to Atmakaraka (Karkamsha lagna) the native is sure to attain final salvation or moksha. Note: Here sage is not clear if an exalted planet in natal chart should occupy the Karkamsha lagna or Atmakaraka itself should be exalted. In case it is Atmakaraka then it is possible in case of Venus only and it should occupy karakamsha lagna. Important :These are generalized interpretations based on various signs becoming the Karkamsha lagna. Further in today’s parlance chatushpad should be replaced by four wheel vehicles, tanks and wells should be replaced by swimming pools, serpents by poisonous items while birds by flying objects etc. The Hindi word Hkk- used here is short form of explanation while word lw- used here refers to number of Sutra as per classic. Illustrations: Note : Examples discussed here are in a broader way and just show the implication of various signs becoming Karakamsha Lagna. Exact happening of any event takes place in the dasha of sign falling in the karakamsha lagna and the planet influencing this karakamsha lagna. The detailed study of karakamsha lagnas will be taken up in next lessons. Example No. 1 : Male : D.O.B. : 29/7/1967 T.O.B : 10.35 a.m., P.O.B. : Ahmedabad, AK - Mercury, KL - Aries, NL- Navamsha Lagna Atmakaraka planet is Mercury which occupies sign Aries in Navamsha chart. Thus Aries becomes karakamsha lagna. Native is fond of keeping cats as pet. Since Mercury is not influenced by any malefic (Jaimini aspects only) he escaped of being bitten by cats. Example No. 2 : Female : D.O.B. : 8.1.1955, T.O.B. : 4.00 AM, P.O.B. : Kanpur, Long : 80E21’ Latt : 26N 28’. Saturn is Atmakaraka in this case and it is occupying sign Taurus, hence Taurus becomes Karkamsha lagna. Saturn itself is a malefic aspected by Mars, Rahu & Ketu being malefic while Mercury and Jupiter are benefics. Native was run over by a cow and had a broken arm. Example No. 3 : Female D.O.B. : 5/8/1951 T.O.B. : 8.05AM, P.O.B. : Patna (Bihar), Long : 85E 07’ Latt : 25N 36’, AK- Mars, KL-Gemini, Atmakaraka planet is Mars and Mars is posited in sign Gemini hence Gemini is karkamsha lagna. Karkamsha lagna is influenced by malefic planets only viz Ketu, Rahu and Sun. Hence Karakamsha lagna is influenced by four malefics, native suffers from incurable skin disease psoriasis. Example No. 4 Male D.O.B. : 11.5.1951, T.O.B. : 8.45 AM, P.O.B. : Moga (Punjab) Long : 75E10’ Latt: 30N48’, AK- Mars, Karakamsha Lagna – Sagittarius, NL-Capricorn Atmakaraka Mars is placed in sign Sagittarius in Navamsha chart. Sagittarius becomes karkamsha lagna. Native was working in a multinational software company and drawing Rs. Three lacs per month but had to leave the job due to unavoidable circumstances, thus fell from higher post. Note : We have tried to explain the impact of various signs rising in karakamsha lagna but limited to four examples only so as to make the rules clear. Here AK means Atmakaraka, KL means karkamsha lagna and NL means Navamsha lagna.